Facing the bay of Palm Island and overlooking the Arabian Gulf, this luxury resort boasts 1 KM of private beaches and lush green gardens. 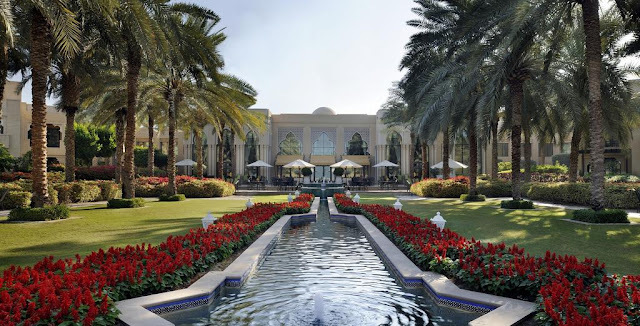 One&Only Royal Mirage is a 10-minute drive from Aquaventure Waterpark, and a 20-minute drive from Burj Khalifa and Dubai Mall. IMG World and Hub Zero Dubai are just a 30-minute drive from the property.